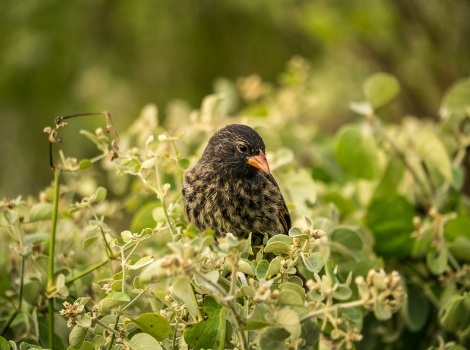 The sharp-beaked ground finch (also known as the vampire finch) is one of Darwin’s finches; a group of 15 birds endemic to the Galapagos Islands that helped Charles Darwin formulate his theory of natural selection. 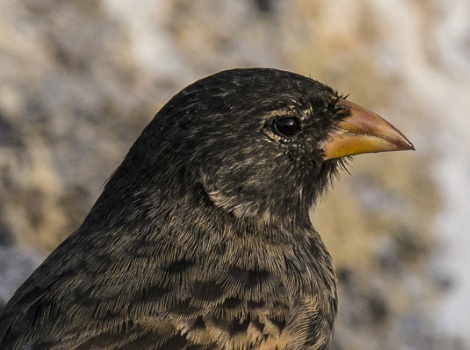 Like other ground finches the male is black and female is brown with streaks. Their sharp beak means their diet can vary enormously, however predominantly eat seeds. 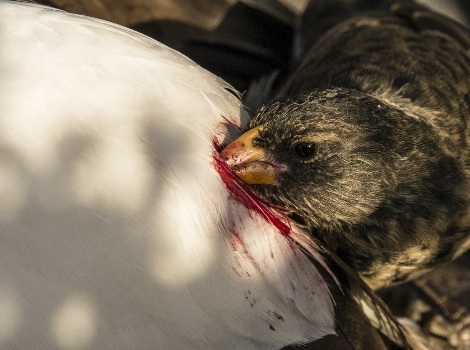 On the small island of Wolf and Darwin species have been seen drinking the blood of large sea birds giving them the name ‘vampire finch’. They also have been seen feeding on sea birds eggs.